Meet Lieutenant Kelley Edwards! Edwards is married to Kelly and has been working for the Hall County Sherriff’s Office for the past 25 years. 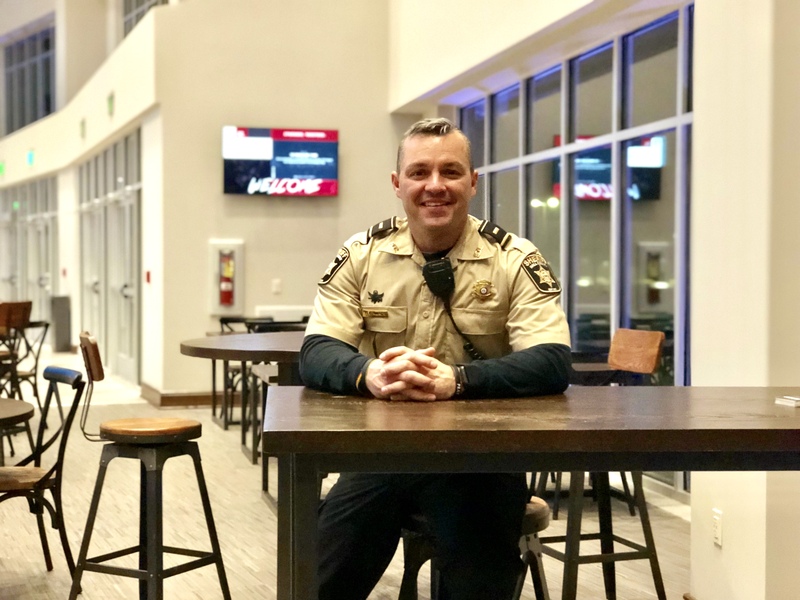 Formerly, Kelley was a search and rescue dive team leader, and currently he is an instructor at the Hall County Sheriff’s Office. Edwards says his favorite thing about living in Hall County is the diversity. “There’s a lot of good people here that still have small town values, but it’s grown to be bigger than a small town. It’s not metro Atlanta, but it’s not small town Hall County, like it used to be. It’s somewhere in between, but it still has that hometown feel to it,” he said. We want to thank Sgt. Kelly for recently spending time with us and telling is more about his life and love of Hall County. Q: Who is the most interesting person you’ve met in Hall County? Q: What local business makes you the most nostalgic about Hall County? Q: What’s your favorite thing about Hall County? Q: What is something interesting that most people don’t know about you? Q: What three words mean “Home” to you?